Each year, Americans observe Hispanic Heritage Month from September 15 to October 15 by celebrating the histories, cultures and contributions of American citizens whose ancestors came from Spain, Mexico, the Caribbean and Central and South America. The observation started in 1968 as Hispanic Heritage Week under President Lyndon Johnson and was expanded by President Ronald Reagan in 1988 to cover a 30-day period starting on September 15 and ending on October 15. Find out about the history of National Hispanic Heritage Month and access related presidential proclamations and legislative branch documents. Access videos, articles, online exhibits, blogs, and other resources that cover important topics in Hispanic and Latino history. 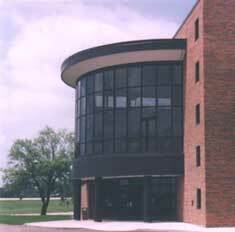 The Smithsonian Latino Center was created in 1997 to promote Latino presence within the Smithsonian. 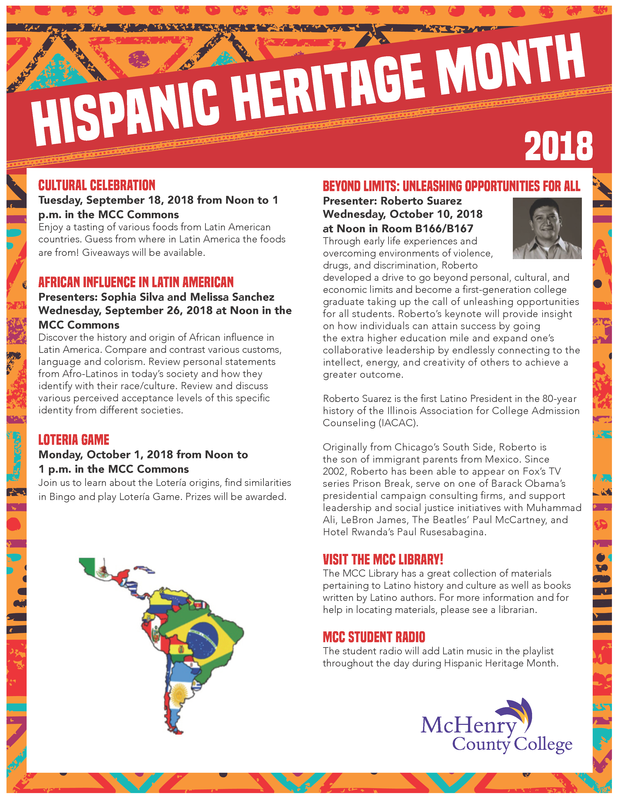 McHenry County College celebrates National Hispanic Heritage Month! Latino Americans is a six episode series that chronicles Latino history over more than 500 years. The other five episodes can be viewed on the series' website.